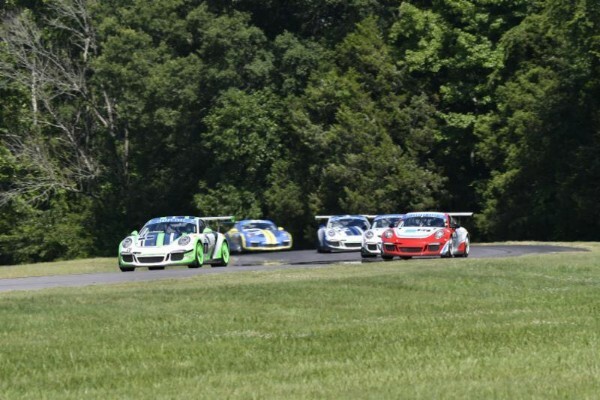 With the sun shining and a slight breeze in the air, competitors enjoyed an incident-free, clean and competitive race at VIRginia International Raceway in Alton, Virginia on Saturday. John Goetz, of Hairy Dog Garage, was on Swearingin’s tail for most of the race, but Swearingin couldn’t be beat. He ended up finishing 5.715 seconds ahead of Goetz, sailing to victory. Swearingin’s fastest lap time in Sprint 1 was 1:52.039. Goetz came in second with Swearingin’s ACI Motorsports teammate, Richard Edge, coming in third in the TE6 class. In the TE6 Masters class, Gary Jensen came in first place and fifth overall. 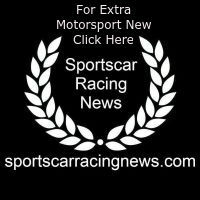 With BGB Motorsports’ father and daughter duo, Bruce and Sydney McKee, taking turns between the two sprint races on Saturday, 19-year-old Sydney dominated most of the competition, coming in second place to NOLAsport’s Alejandro Galindo. Autometrics Motorsports’ Noël Brown came in third place in the TE4CS class. John Crosby came in first in the TE4CS Masters class with Autometrics’ Charlie Craig and Hairy Dog’s David Peterman coming in second and third place in the TE4CSM class, respectively. Swearingin led flag-to-flag Saturday afternoon during the series second 30-minute sprint race at picturesque VIR. Goetz once again came in second and TOPP Racing’s Richard McIntosh placed third – his best finish of the weekend. In Sprint 2, TOPP Racing’s Russell Walker, who shares the No. 28 GT4 Clubsport entry with his dad, David Walker, went from P13 to P9, slowly making his way through the field during the race. Walker ended up placing third in the TE4CS class, with Galindo winning Sprint 2 and ACI Motorsports’ Efrin Castro coming in second. Bruce McKee took over for his daughter Sydney in their No. 87 BGB Motorsports entry and placed fourth in the TE4CS class in Sprint 2. In the TE4CSM class, Craig gained his first win of the weekend with Crosby coming in second and Peterman rounding out in third place. Drivers competed in 90-degree weather and sunny skies during Sunday afternoon’s 80-minute enduro race. Hairy Dog Garage’s Goetz passed Swearingin on Turn 1 and won the race in his No. 57 entry more than 30 seconds ahead of SpeedSport Tuning’s Jack McCarthy. TOPP Racing’s Ken Finch placed third overall and first in the TE6 Masters class. After averaging the weekend’s points, a podium ceremony was conducted for the top three drivers in each of the four classes. Swearingin won the TE6 class overall with Goetz coming in second and McCarthy placing third. It was an exciting battle in the TE4CS class and competition was at an all-time high. Galindo swept the weekend placing first in the Sprint 1, Sprint 2 and the enduro. Brown came in second place with Sydney McKee placing third in points in class – her first podium of the season. In the TE6M class, Jensen placed first with Finch coming in second, and in the TE4CSM class, Crosby took home another first-place finish with Craig coming in second and Hairy Dog Garage’s David Peterman coming in third. Next up, the PCA Trophy East series will travel to Monticello Motor Club July 13-15. This marks the second time the series has competed at the premier automotive country club about two hours north of New York City.